Just one point regarding your thought provoking tranche. It's hardly "recanting his scepticism " maybe a case of MacDonald being conciliatory or diplomatic . Fact is, his letter is still a major problem for the LNM " tradition ". If we respect Alex Campbell's years of knowledge and experience of the loch's history, flora and fauna we must also respect MacDonald's flatly stated opinion that in many years sailing on the loch he saw nothing exotic. Why would he lie ? Binns' much needed basic research on the non-existant LNM tradition still stands up to scrutiny after 30 years. Oh, if only I could give you a *complete* review of Binns' works ... unfortunately that would have the same withering effect of someone having to examine dodgy images for the vice squad. I would rather do something else. 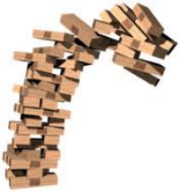 As for MacDonald, it seems he regarded his own letter as a problem. I read Gould's book and loved the fact that he's the first one to say that he wished there were serious qualified scientists looking into the matter and laid out in detail his best attempts at utilising the scientific method. Gould did a very good job. You can argue with his conclusions but not his integrity nor the skill and energy with which he approached the task. In reference to ROY's interesting comment above, the 'lottery' theory doesn't hold up to me 100%. True, not everyone sees it the more time spent or lived at the loch but in most cases the more people looked the more they saw it. Dinsdale and Mackal both saw it at least once more. And if you believe Alex Campbell then he saw it well over a dozen times. Now in complete contradiction to what I've just said - personally I think Campbell was at it. It's possible he saw it a few times but the frequency he claimed is an clear anomaly to all other data. But then he's dead so I can't track meet him and look into his eyes and see if he was telling porkies. The McDonald issue can be used by either side to claim a victory with equally genuine weight. Anyway great article. If Binns reads this then I really hope he joins the debate on here. I slightly disagree with that Kyle. You say the more people look the more they see, so what about Steve Feltham? He saw something in his first couple of years at the loch yet after another 20 odd years of looking he has seen nothing. Sure GEZZA. Yet if you're not looking at the loch then it's impossible you'll see it. So by definition you need to be there to have that 1 in a million chance to begin with. I know what you mean though - it's not directly proportional that the longer you're there the more you'll see. Kyle, if memory serves, I don't think Campbell actually claimed over a dozen sightings, but rather told of a number of experiences that he attributed to Nessie. In some of those experiences he didn't actually see anything. With the emphasis on iii. It's a truly magnificent defence of Mr Campbell GB. It's possibly the best example of your passionate, positive stance on the mystery and the characters associated combined with your usual logical detective work. So Campbell possibly saw the creature on only 3 occasions? Much more believable. One thing I always wondered about; the Surgeon photo hoaxers claimed they had to sink the model because the water bailiff was approaching. Are they possibly admitting Campbell was in on the hoax? I dunno... And I'm sorry if this is irrational but.. he seems so well placed at so many critical junctures in the mystery and to have had such an influence that I can't help but be slightly sceptical about some of his claims. I will end my unprovable negativity by saying that if the creature exists that Campbell probably saw it a few times and has over egg the pudding a little... and I'd have very much liked to have met him myself. I don't suppose Spicer, Findlay, Gray or MacNab were " looking for monsters" but they saw and photographed something in the loch just by being there at the right time. Without labouring the point, and using a Binns statistic, allegedly in the entire 1950s only 21 sightings were recorded, 2 per annum. How can that be explained away ? I make it about 80 sightings in the 1950s. How can what be explained away? What have Spicer and Gray got to do with the 1950s? So are you agreeing with Roy that it is a lottery? Roy, I meant if anyone could explain the paucity of sightings in the 40s and 50s compared to the 1933/34 period is all. Sounds like a nice break Roy, I was up there last week and the Glencoe and loch ness sections of the A82 are a pothole nightmare. Yeah itll be straight on motorway for us John towards glasgow then perth ..then turn off at dalwhinnie and head for fort augustus..yeah glencoe can be a nightmare! John, there's an argument that the road improvements of '33 caused the increase in sightings in that period due to: a.) Debris (felled trees, rock, etc.) being dropped into the loch and disturbing the side/bottom dwelling creatures. b.) More cars on the road due to its improvement. c.) More clear views of the loch with trees/vegetation having been cleared away. As for the 1940's, if I'm not mistaken the loch was off limits during the war years, and in the late 40's through much of the 50's Britain was pre-occupied with getting back on its feet after the war, so folks likely weren't visiting the area in large numbers, and the locals generally tended to be reticent in discussing the subject of the monster for fear of redicule. I was very impressed on Gould's chart of sighting locations that they were in many different places - not just tourist hotspots or where population was always densest. To me that is an indicator of legitimacy to sightings, and possibly more like what you'd expect from a living creature, particularly if it/they are a shy one or a deeper dweller. On the other hand, perhaps more fake sightings can be perpetrated in isolation? It's very easy to swing and interperate the available data any way you choose really. Best of luck during your time at the Loch ROY. The problem with this ‘review’, like the earlier one, is that it reveals that Roland Watson hasn’t actually read the book he claims to be reviewing. The bits he has read he distorts to a laughable degree. Unfortunately, for someone who puts himself out as an accomplished researcher, Binns seems yet again unaware of an article of mine from 2011 in which MacDonald recants his scepticism with these words to the Daily Mail in 1934: "If so many reputable people say they have seen 'the beast' one inclines to the belief that there is something in it." This exposes Roland Watson’s inadequacy as a reviewer, since Binns actually cites Watson’s article, quotes MacDonald’s remark, and then discusses it. Because Watson is a lazy and prejudiced reviewer he hasn’t bothered to read the book and so his comments on it are worthless. Commenters on this site should look at the book and see just how its contents are being grossly misrepresented on this blog. Far from condemning Gould as not being a thorough investigator, as Watson falsely claims, Binns actually suggests that he was and that it was Hugh Gray and R. K. Wilson who preferred to avoid having any contact with him, because, in Binns’s words, Gould was ‘a relatively knowledgeable inquisitor’. 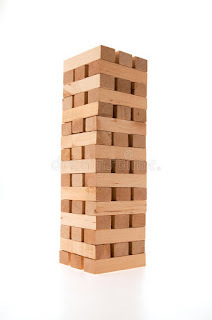 This illustrates how Watson characteristically twists the meaning of what Binns has actually written. It is dishonest of Roland Watson to avoid telling his readers of all the criticisms which Binns makes of this blog in the book. For example, Binns devotes a complete chapter to Alex Campbell and Watson’s defence of him. You’d never know that from these ‘reviews’. If The Loch Ness Mystery Reloaded is such a bad book why then did the prominent cryptozoologist Loren Coleman include it in his list of The Top Ten Best Cryptozoology Books of 2017? The first duty of a reviewer is to describe a book’s contents. Roland Watson can’t even be relied on to do that. But then how could he when he inadvertently reveals he hasn’t read the book? Ah, a pugilistic comment. Good. It seems you only ever come on here when Ronald Binns is the subject of the article, a quick google confirmed you are not Ronald Binns undercover, but one of his literary colleagues or even a friend come to defend the indefensible? So you don't think I have read the book? You will note from amazon that I am a verified purchaser of the book, so it would be odd not to read it having shelled out for more than it is worth. I am reading and reviewing it as I go along. I thought I made that clear. My review of Binns' handling of Gould does not depend on the chapters I have not read yet purely because the damage has been done - he has trashed Gould and even if repents later on in the book, it changes nothing. Let me address your two points (only two?). First, John MacDonald. I admit I have not read further on what Binns say about my article on MacDonald's recantation. I will do so, but the fact stands that MacDonald said what he said and so there is no point in Binns deriding Gould for not visiting him. Your second point is laughable. Binns spends an entire chapter trying to dismantle Gould as a serious cryptid researcher. That is the entire point of the chapter! Please quote the page number where Binns suggest it was Gray and Wilson who preferred to avoid contact with Gould when it is clear Binns takes Gould to task for NOT contacting them! Binns' description of Gould as "a relatively knowledgeable inquisitor" hardly tells us anything about Gould when the nebulous word "relatively" is prepended. I note you have not addressed any of my other four points. I will assume you agree with them. Also, regarding Alex Campbell. My two reviews make no mention of Binns' handling of Alex Campbell, so why even mention this? As for Loren including this book in his top ten cryptozoological books, you need to ask him, because I think the book is a load of ill-informed crap. Most readers on here respect Binns' first book a fair bit. Some don't obviously. 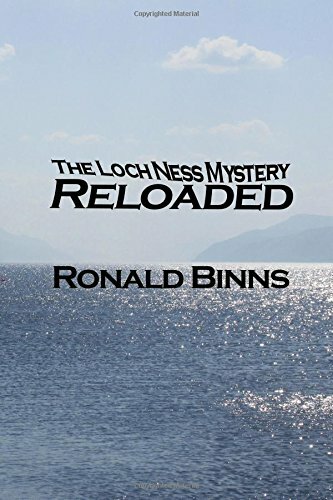 Personally I think Binn's made a great contribution to the mystery even if I don't always agree with him. It's also very clear that Mr Watson and Mr Binns are almost completely diametrically opposed to each other regarding their conclusions. We all know that so no matter what Roland says or how much I respect him (and I do so very much) I'll ultimately make my own mind up on Binns' new book should I ever read it. But it's fun to hear Roland's slightly caustic, detailed review of it. As it stands I hoped Mr Binns himself would be flattered that his new book is gonna get 3 full blog posts as a review! From the current foremost active Nessie believer no less! And maybe join the debate here in the comment section? That would be brilliant. Regardless, I do respect what you've said in your well written, passionate defence of Binns' new book but whilst Roland's conclusions may differ entirely to your own (as they sometimes do to mine) it would be slightly ungracious so say that as a researcher he's anything less than very thorough and articulate in his opinions and findings. I have no problem with sceptics and reasoned contributions to the debate. Unfortunately Ronald Binns' brand of scepticism is caustic, libellous and deceptive. I call this "slasher" scepticism. Because of the harsh treatment he hands out to now dead and silent people, I decided long ago to deliver my responses to him in like caustic manner. If you can't take it, don't dish it out. After the first effort from Binns im suprised anyone has even read the second one. This spat could potentially take up the blog for many years to come if GB is going to take to task every point Binns' makes. I mean we haven't even reached the bit where Binns makes mincemeat of the land sightings. I have my tin helmet, 8 months provisions in the bunker and the cyanide capsule in my tooth should a pre-emptive first strike occur. John that's very, very funny. I really want Roland and Ronald to go for it and fight their respective corners. I really appreciate GB's thoroughness. I write my own film blogs that are faaaar less detailed than his and I know how long it takes so I'm always amazed at the effort he puts in. I always learn something. Except Mr. Binns is conspicuous by his absence - anywhere on the Internet (unless he is hiding behind a pesudonym). So Binns makes mincemeat of the land sightings? Ok John, over to you? Roland, what you do on your own blog, no one cares much. But you admit that you see nothing wrong with posting negative reviews of books on Amazon without having read them entirely, or even half read them (I reckon you've got as far as chapter three or four of Binns: you certainly don't seem to have reached as far as p.61). This leads you to make statements about the book which are demonstrably false. Other people may not care that you are so slapdash, but as the entire issue about the Loch Ness mystery is to do with carefully evaluating and sifting evidence, using one's judgment and not rushing to conclusions, in order not to make obviously false statements, I'd say you just prefer to be amateur. No wonder you hate Binns's book: it's so much the opposite of your kind of writing. Yes, well, the usual parting put-downs without any attempt whatsoever to answer the arguments I make. Same old, same old. I'll get round to the rest of the book as and when time and priorities allow me. I have more important fish to fry. "Another resounding nail in the coffin of the Nessie myth. 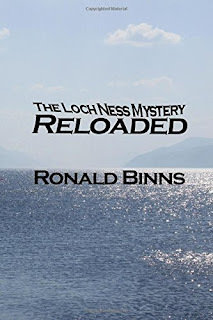 The other review of this book comes from well known Nessie enthusiast Roland Binns who clearly has an agenda is obviously not remaining objective." Is this yet another pal of Binns adding his judgement free evaluation? He was in such a rush to add it, he calls me Roland Binns! It was clear to me he had not even read what I said and added the obligatory "not being objective" slur at the end. Gezza, that's a Nessie trap I'm not going to fall into, even believers should read the book. What are you on about John? Nessie trap? Why dont you back up what you say ? I dont see how he made mincemeat out of the land sightings so please explain how he did. Well, Binns did not make mincemeat out of the Spicers story in this or his previous book. Based on that, I don't hold out much for his later chapters. Not all evidence of Nessie is persuasive, we are allowed to be critical, aren't we Gezza ? I agree witu u john though i doubt all are hoaxes ..some may be mistaken identity. I read your exhaustive [ in a good way ] Amazon review GB, you're not a trained advocate / barrister are you ? Your exacting interpretation of testimony and statements, detailed presentation of facts and your use of legalese leads me to wonder if you have studied law ? No, I have never studied law - though I like a good courtroom or detective drama. My way of thinking comes more from a BSc in Astronomy which was 99% mathematics and a career in computers where logical thinking is also a prerequisite. Hi, GB. Haven't had a chance to read this one yet and time is currently against me. Can you possibly expand a little on what Mr Binns is claiming re. George Spicer knowing "all about the monster beforehand"? Is he referring to McCulloch's corroboration or something else? Cheers for any help you can give on this. Binns needs George Spicer to be a victim of the ubiquitous "nessie expectation" effect to bolster his argument. So he decides, based on Spicer's initial letter to the Inverness Courier, that this was the case, even though Spicer admits to no such thing. Any knowledge Spicer shows of the monster in his letter can easily be explained as information gathered AFTER his experience.